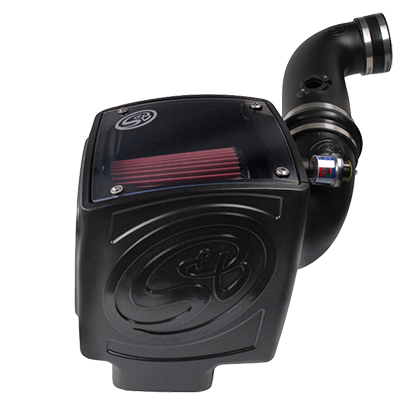 - It's definitely the best looking intake, but the test results are what really puts the competition to shame. At 612 CFM, the 75-5058 out flows stock by 42.8% while maintaining a 99.43% efficiency rating Our Intake with a dry filter flows 42.6% better than stock with a 99.72% efficiency. - A mountain of dust and our 1/2 million dollar lab is how far we've gone to make sure your engine is protected. - When its cool out, remove the included plug from the secondary box opening, and engulf an insane amount of air. With the secondary port open, the restriction of the air flow is decreased by 4.3%. Lower restriction equals better airflow.